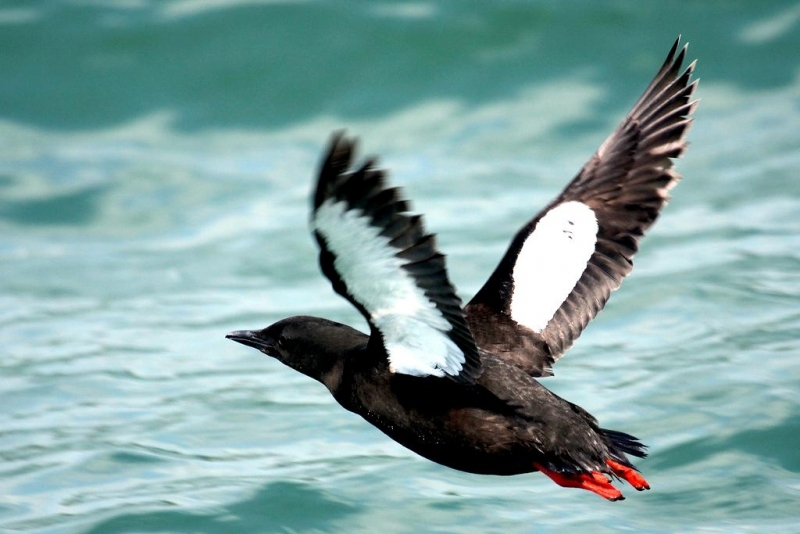 Black Guillemots have a black body with black bill, white patch on wings and red feet. 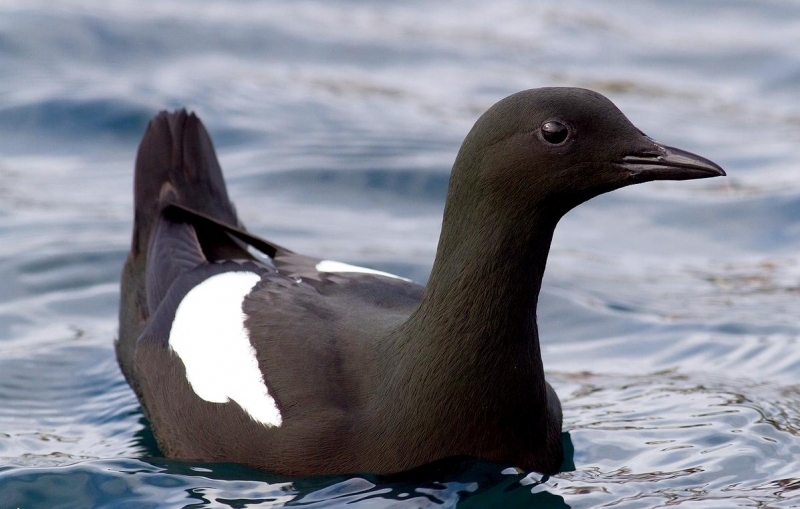 During winter coloring turns to a white base with a darker back. 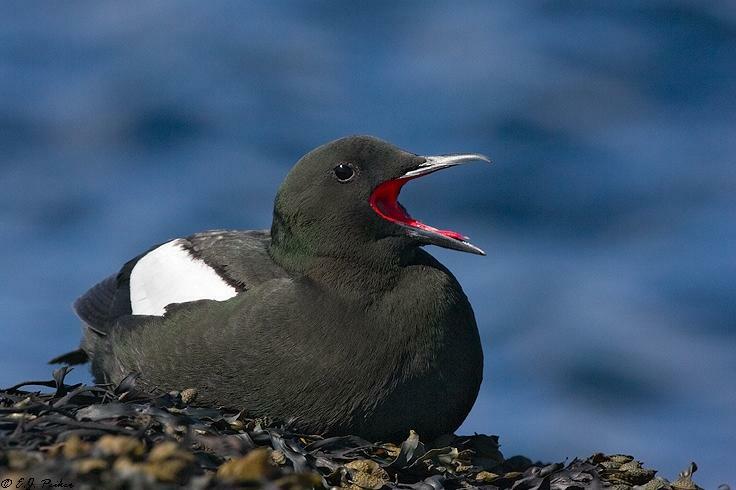 The colorization of the winter plumage gets whiter the further north a particular individual Black Guillemot is found. 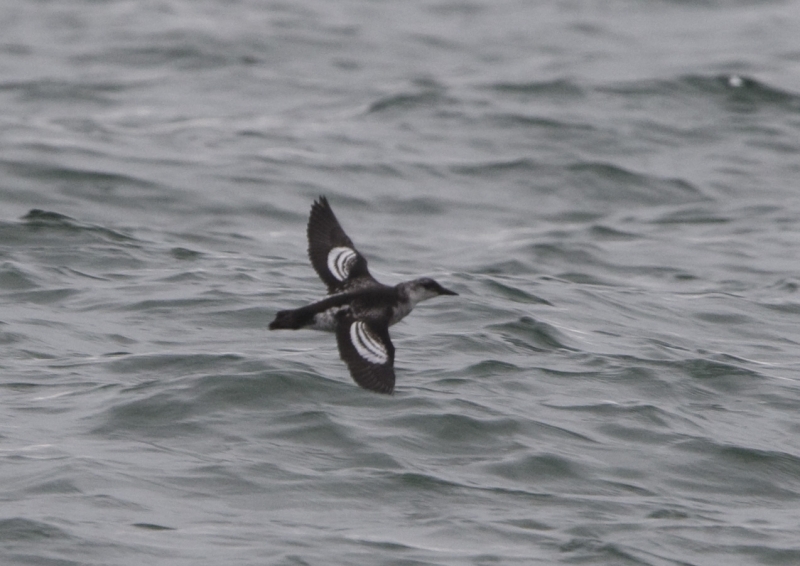 They are divers, diving in relatively shallow waters, using its wings to swim. 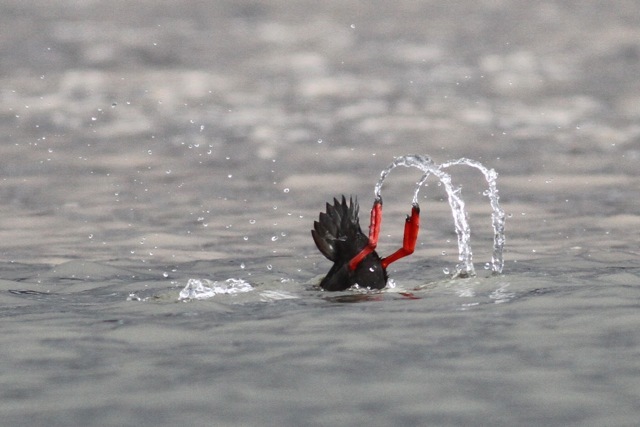 They can stay under for about 2 minutes. 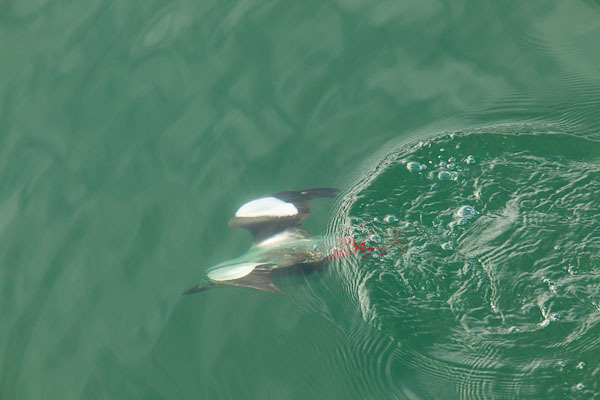 Smaller prey will be swallowed while still underwater, but larger prey held crosswise in the bill, will be brought to the surface. 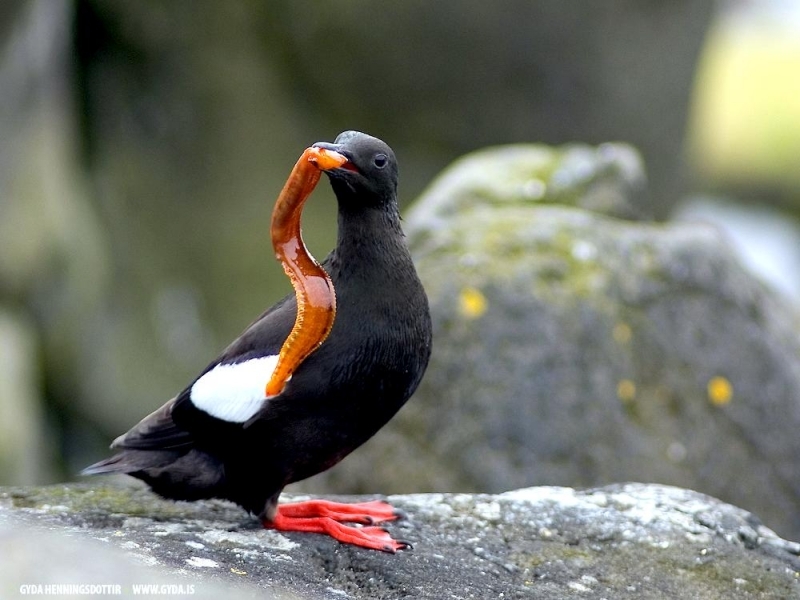 Some Black Guillemots show a preference over which direction they hold a fish in their bills. 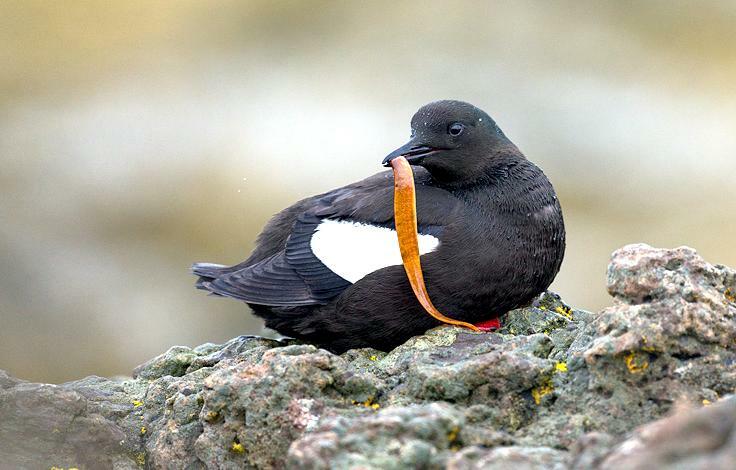 Nobody is exactly sure why, but some biologists think it may be related to their preferred feeding ground. 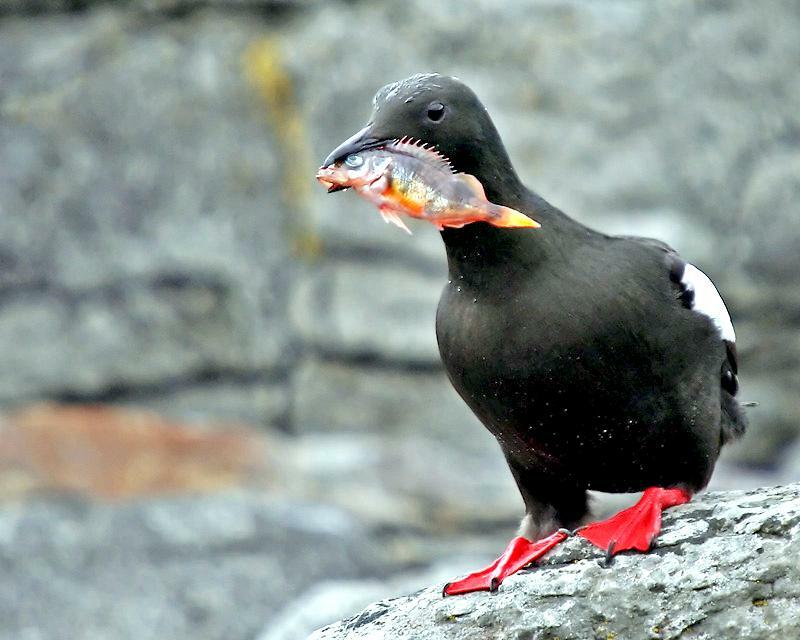 Black Guillemots are a member of the Alcidae family (or Auks) such as the Puffin. 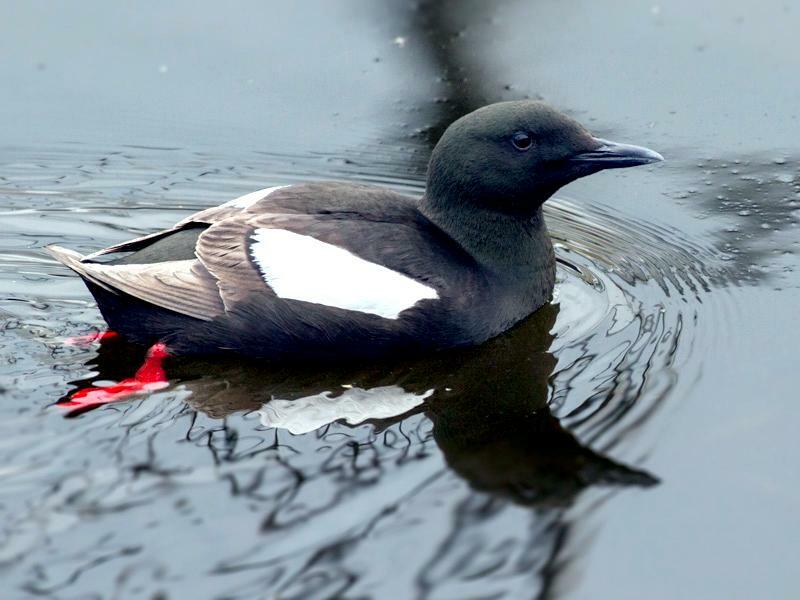 Outside of mating season, Black Guillemots are generally found solo or in a pair and reach sexual maturity at 4 years. 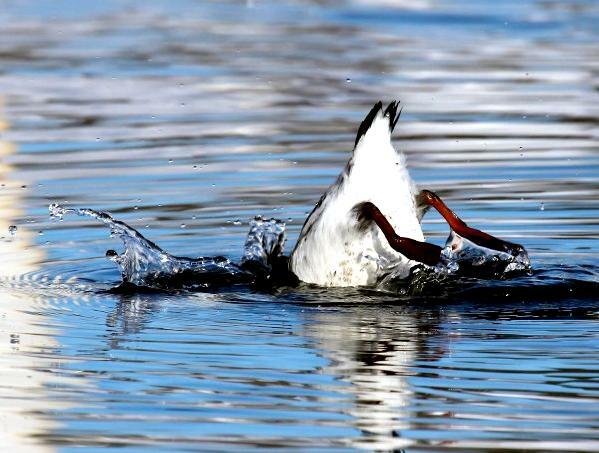 They will however come together over feeding areas. 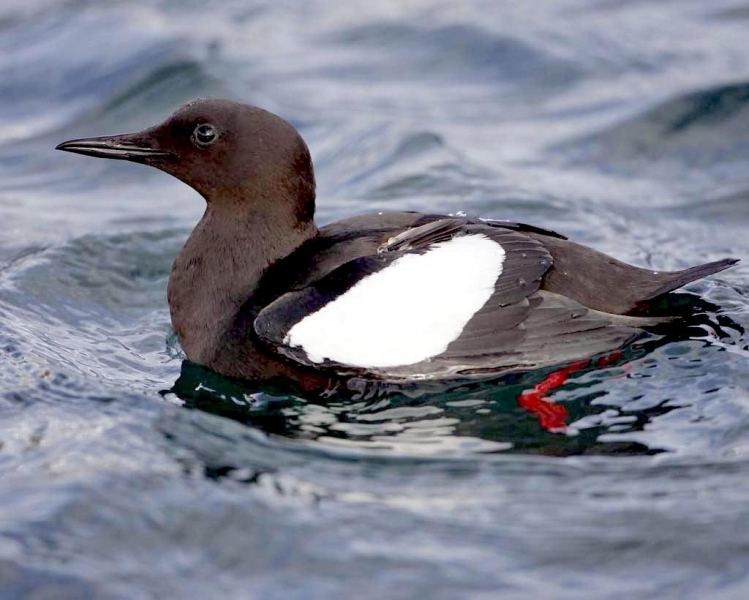 Birds like the Black Guillemots that use diving pursuits to catch prey are generally only found in colder regions because the warmer the water gets the faster fish can swim (their speed doubles in a range where water temps go from 5 °C to 15 °C), but the birds stay at the same swimming speed. 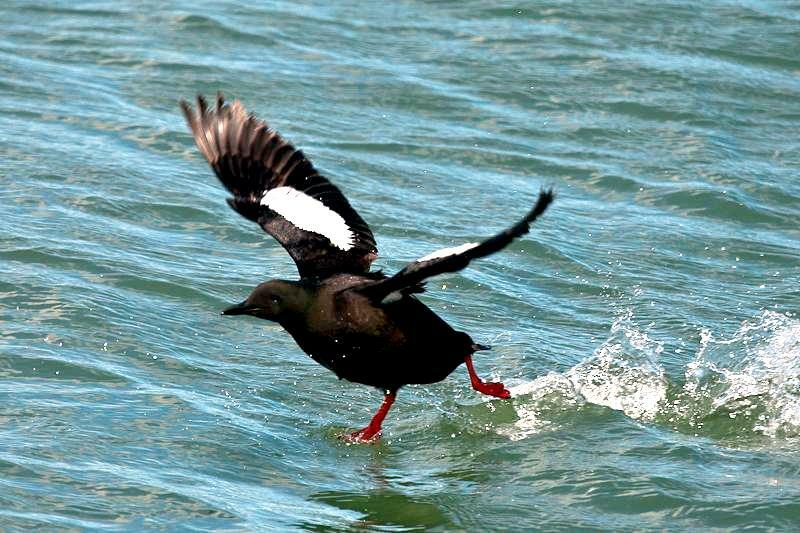 Black Guillemots generally fly at speeds of about 20 kph. 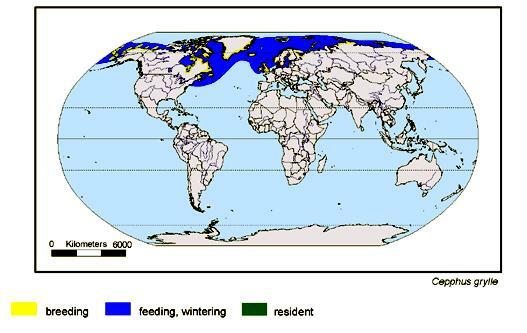 They breed in colonies that get denser the further north one goes where food is more available. 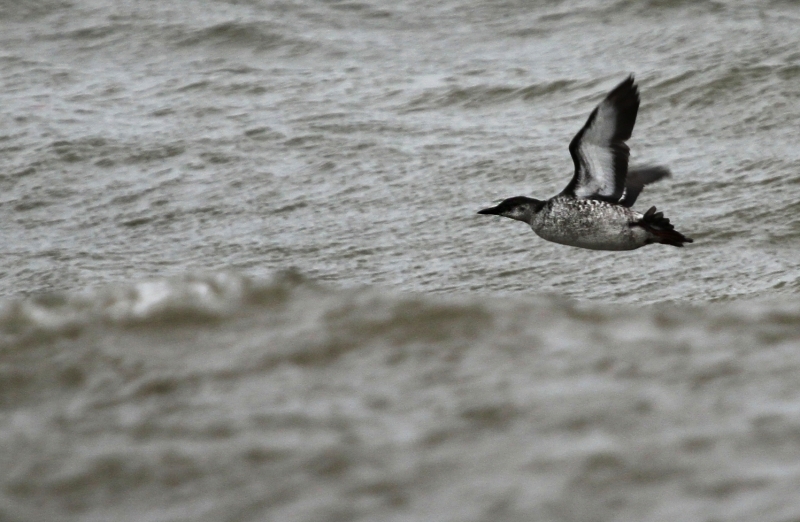 The more populous colonies can number up to 10,000 breeding pairs. 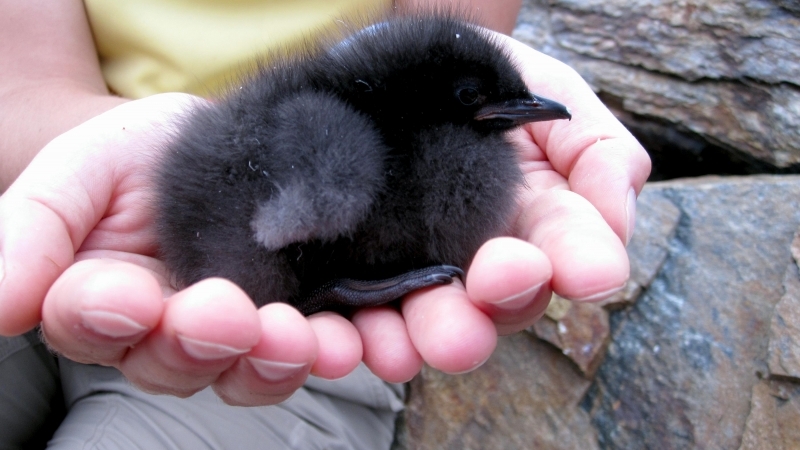 They create their nests on rocky coastlines. 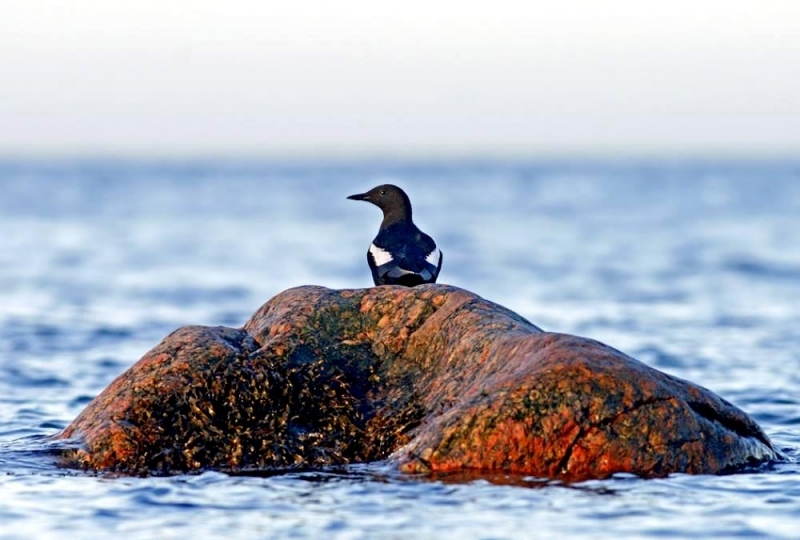 The nests which can be made up of pebbles, shells, seaweed or nothing at all and are usually placed among rocks that provide some sort of overhanging “roof”. 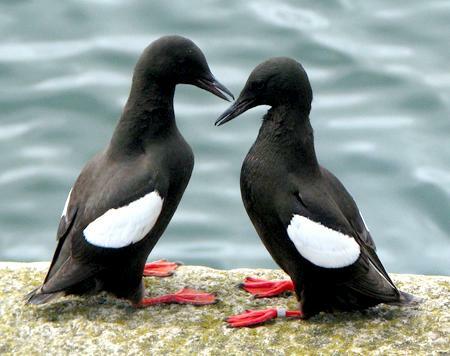 In order to woo a female, the male will stand up as tall as he can with his bill pointing downward and then strut around the female with exaggerated steps. 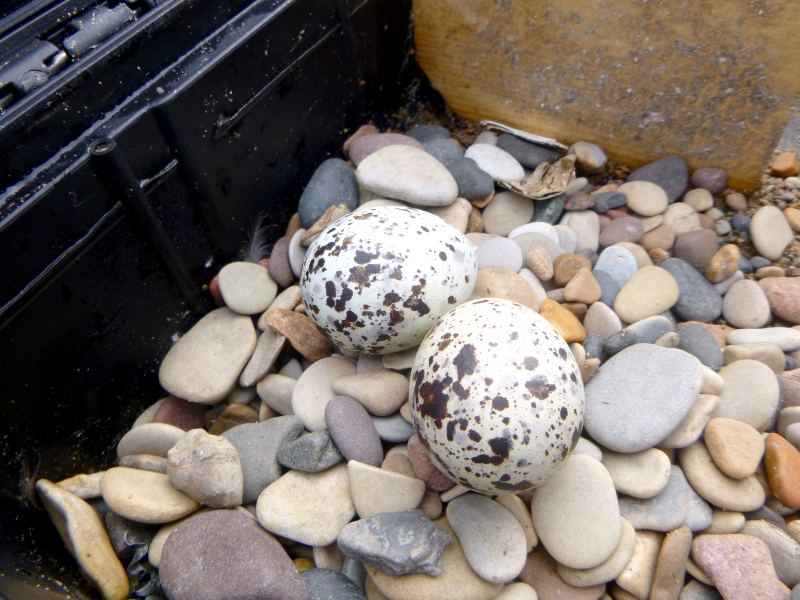 Up to 2 eggs are laid. 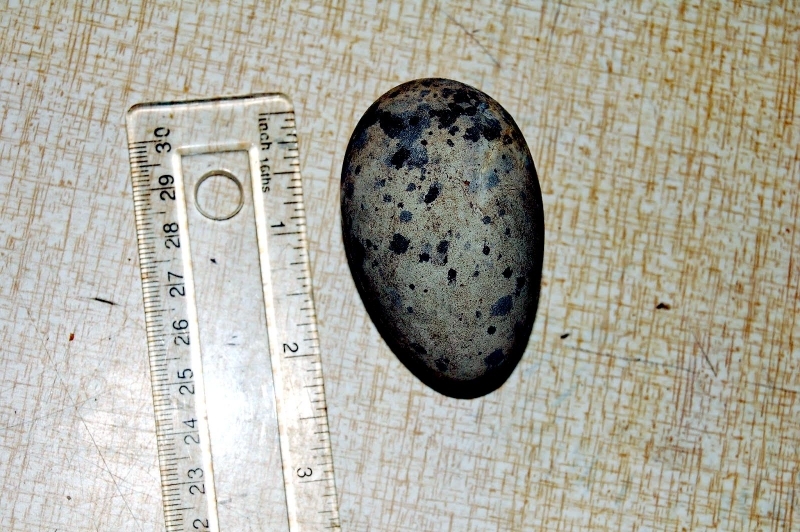 Both parents take turns incubating the eggs for about a month while the other forages. 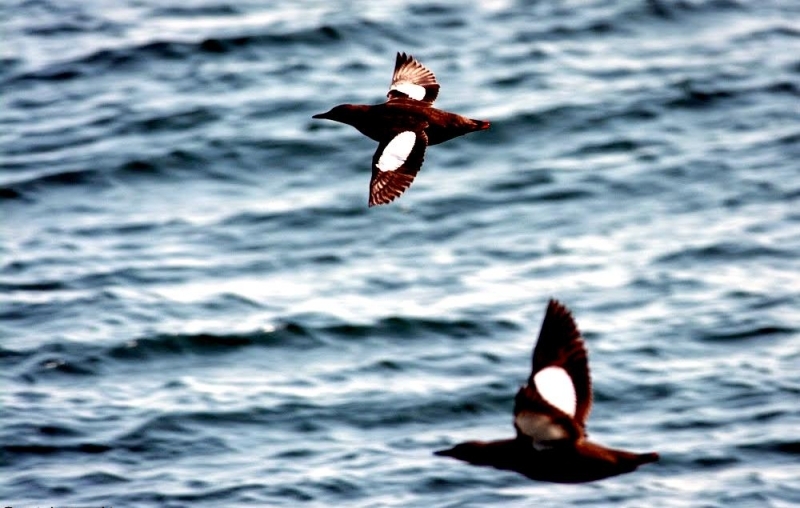 Black Guillemots gather in breeding colonies for the summer. 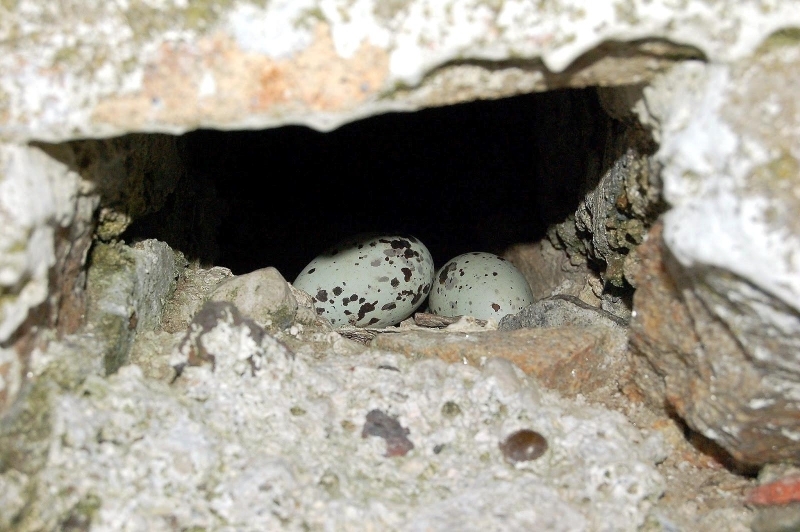 Between May & July, females lay 1-2 eggs directly onto cliff ledges; they are conical shape prevents it from rolling off. 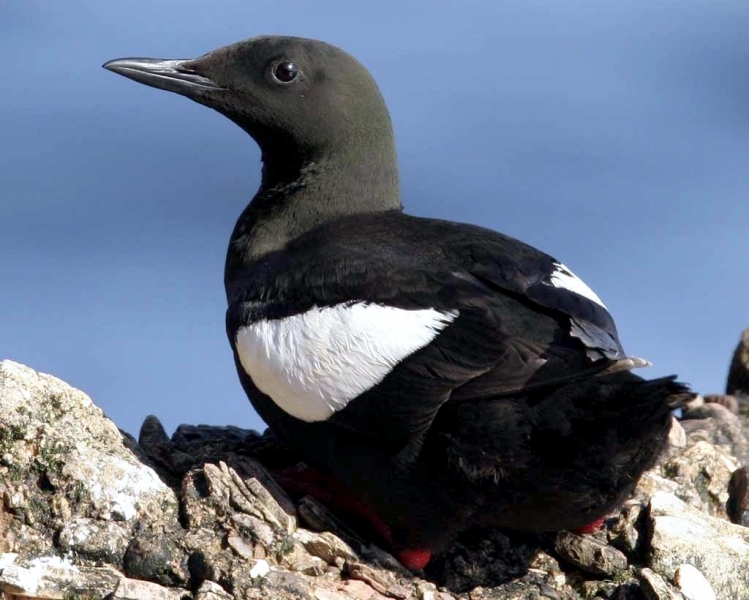 At around 3 weeks of age, the young Black Guillemot leaves the colony before it has fledged and dramatically plunges into the sea accompanied by the adult male, who will care for the young at sea until it becomes independent a couple of months later. 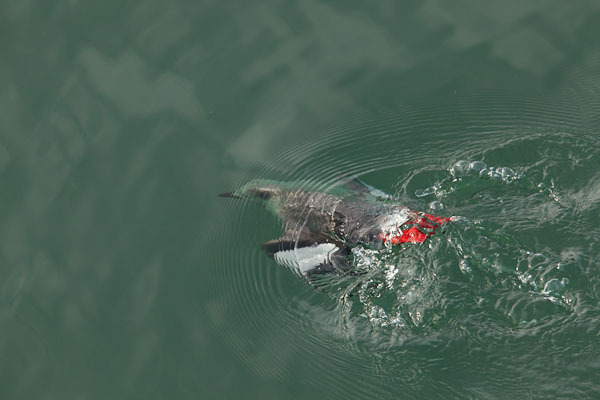 Shortly after leaving the breeding colonies between June & August, adults undergo the main annual molt and become flightless for around 6 to 7 weeks. 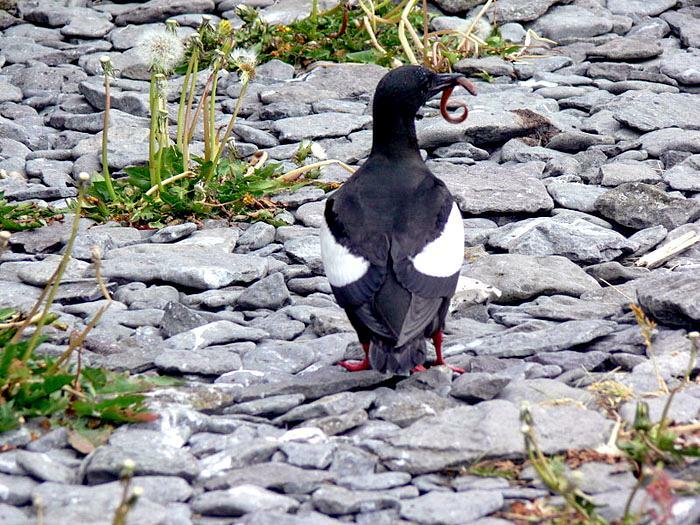 During the winter, Black Guillemots disperse fairly widely with young birds covering the greatest distances. 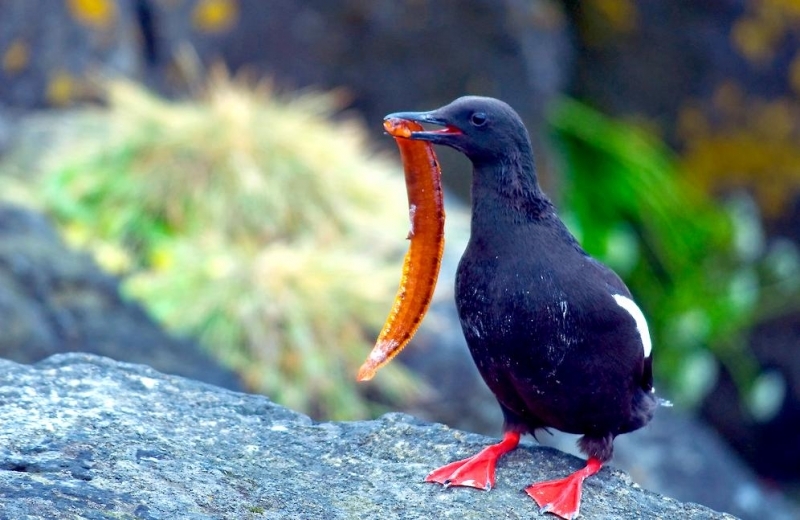 Throughout the year, their diet consists mainly of various small species of fish as well as crustaceans, marine worms & mollusks. 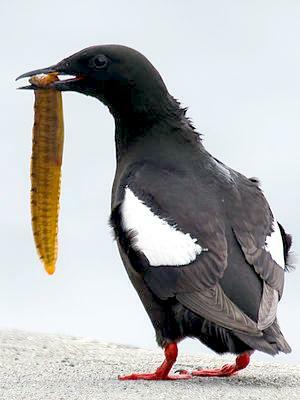 Sand Eels are particularly important during summer. 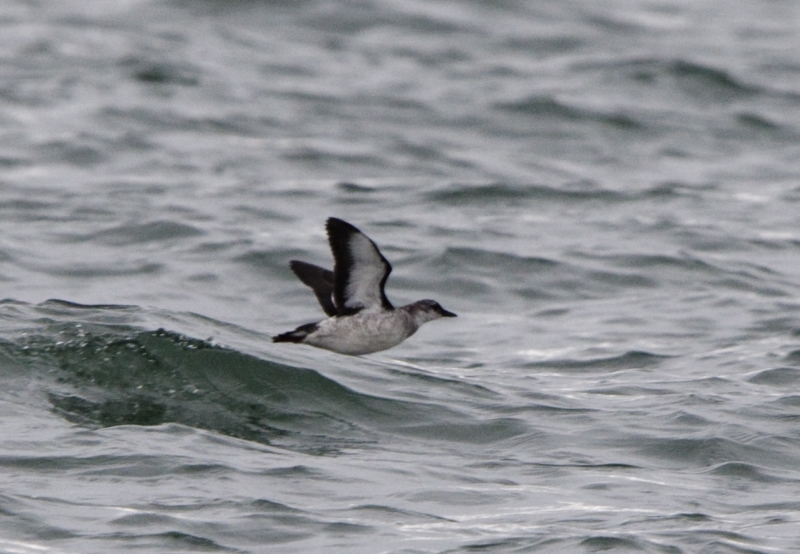 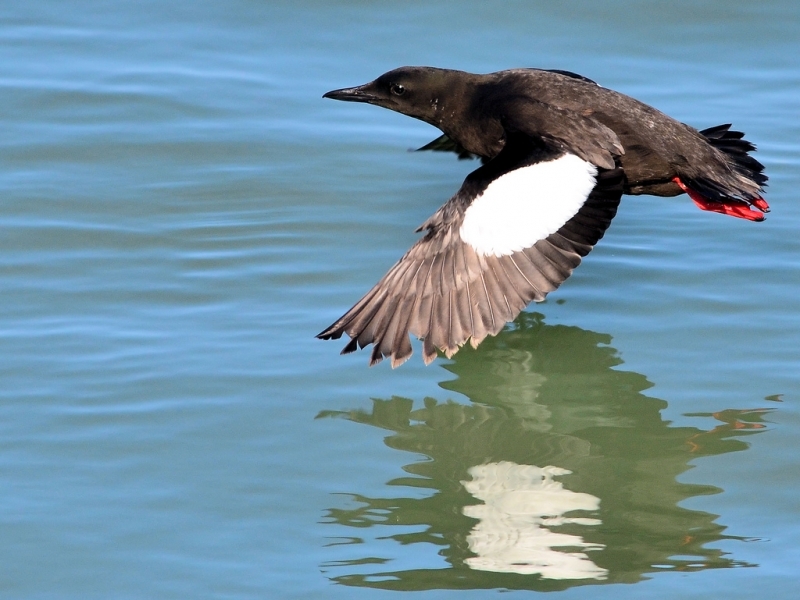 Black Guillemots dive to obtain food, ‘flying’ under water with their wings. 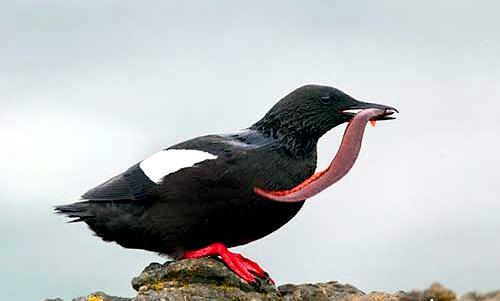 Black Guillemot young & eggs are prey to rats, foxes and minks. 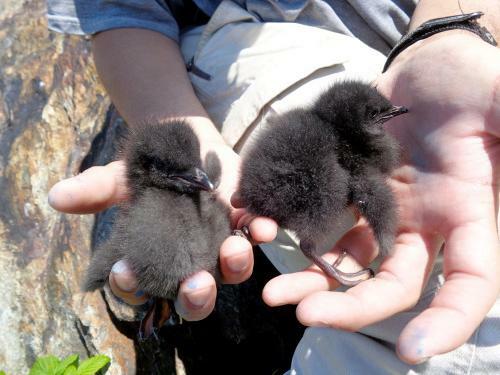 Once hatched, both parents will alternate taking care of the chick with going off to feed, returning with fish for the hatchling. 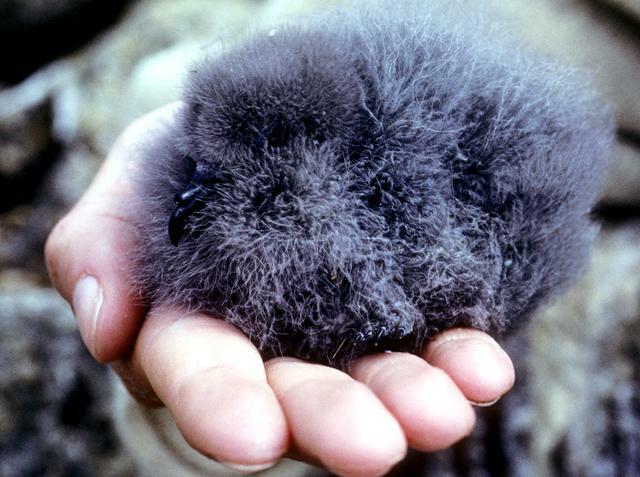 The chicks will leave the nest from 1 to 2 months after hatching, heading down to the water where they will take care of themselves until they learn to fly. 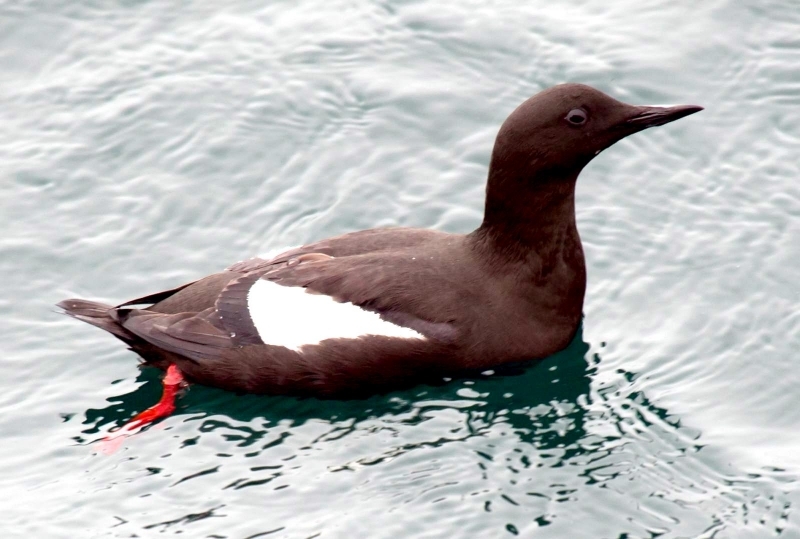 Black Guillemots found further out in deeper waters tend to be non-breeding. 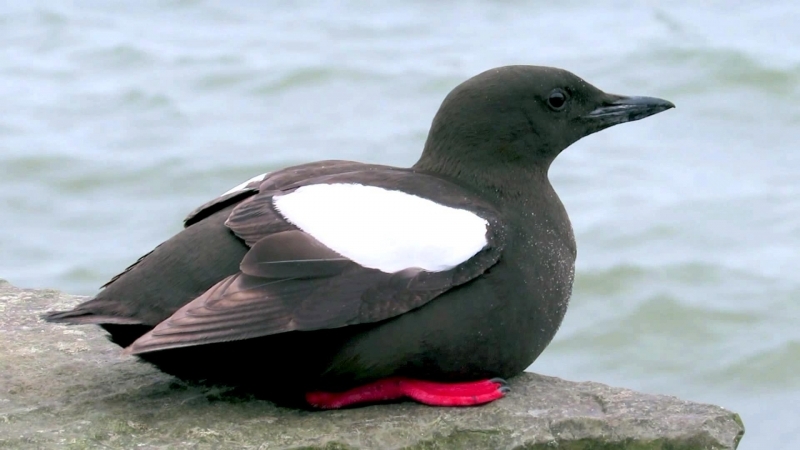 Black Guillemots live for about 11 years in the wild and there is an estimated 400,000 to 700,000 individual Black Guillemots in the world today.